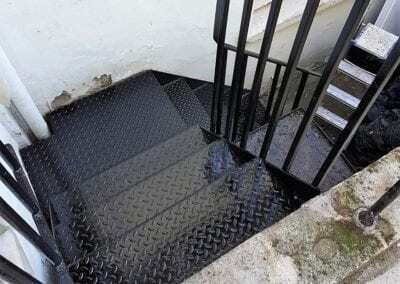 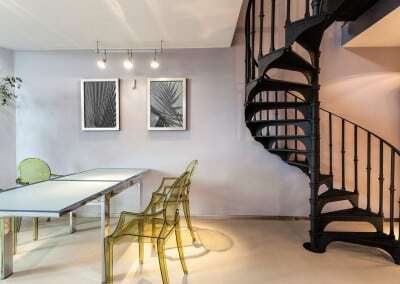 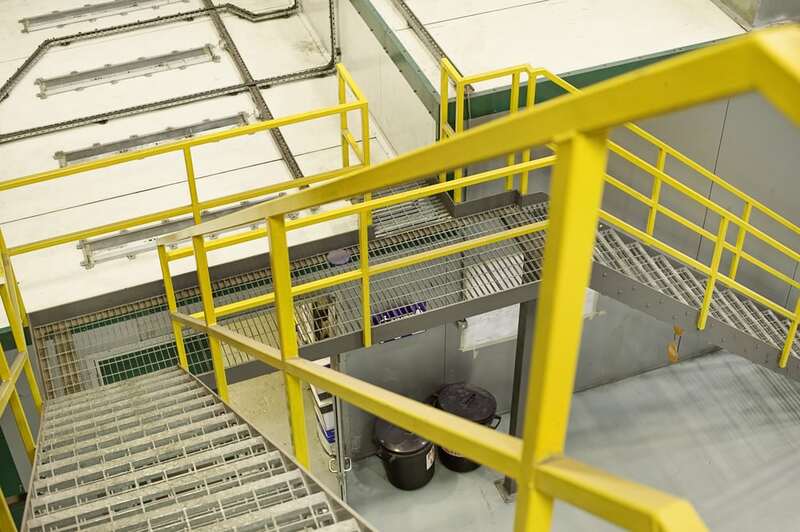 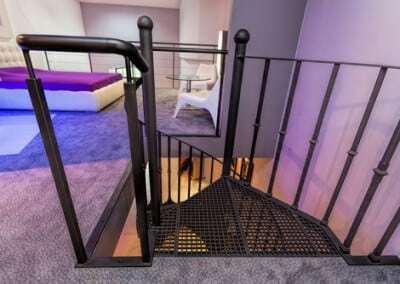 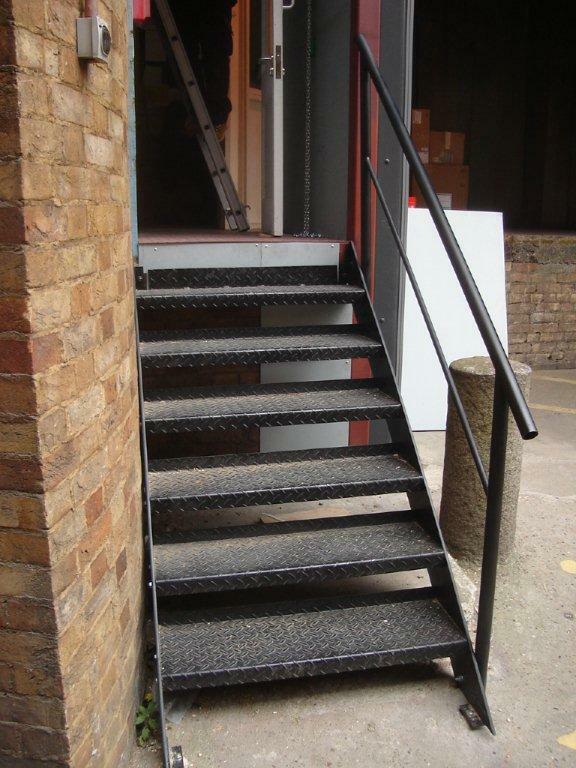 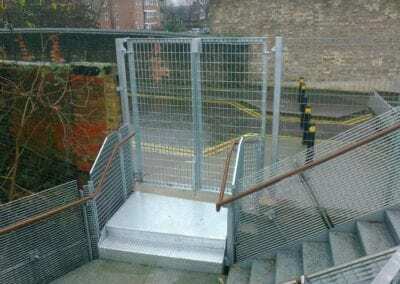 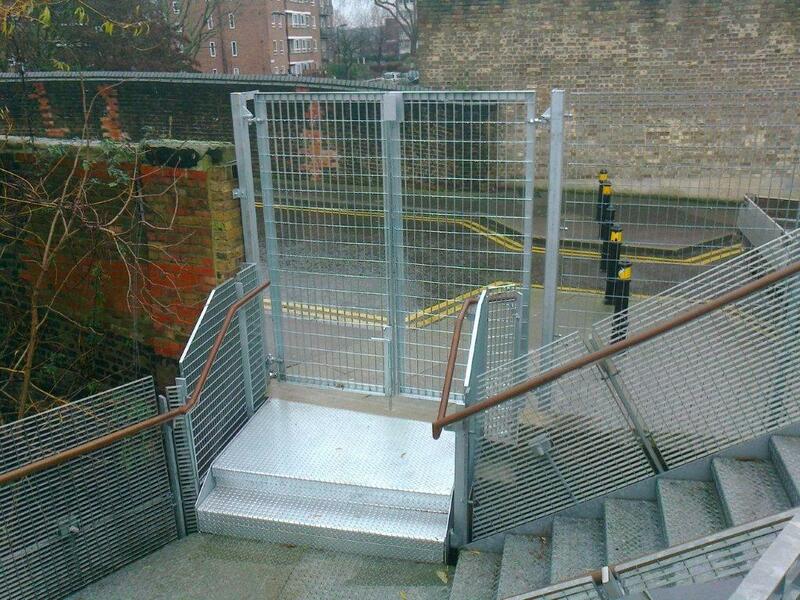 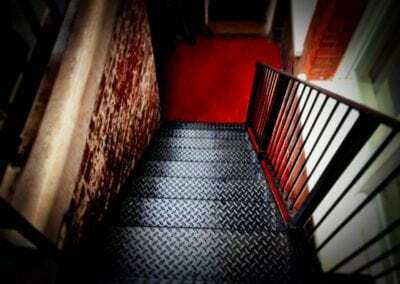 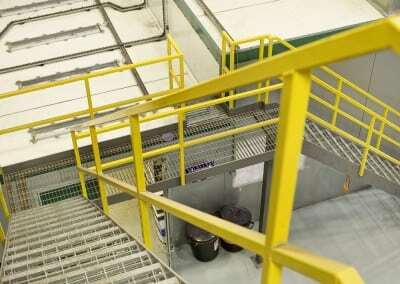 Whatever kind of metal staircases or steps you want, we can make and fit them for you. 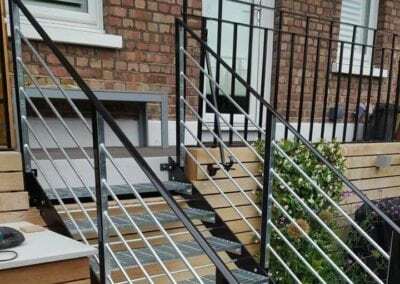 In domestic buildings, appearance is as important as functionality, so the spindles might be straight or slightly curved, smooth or textured, and incorporate simple or intricate shapes, panels or rosettes. 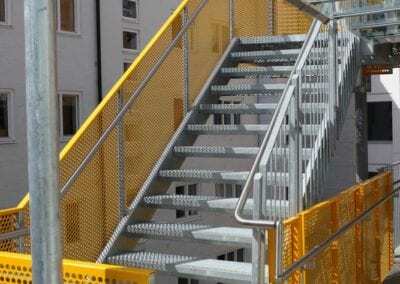 Whatever staircases we make and install for you, you can be sure they’ll enhance your property. 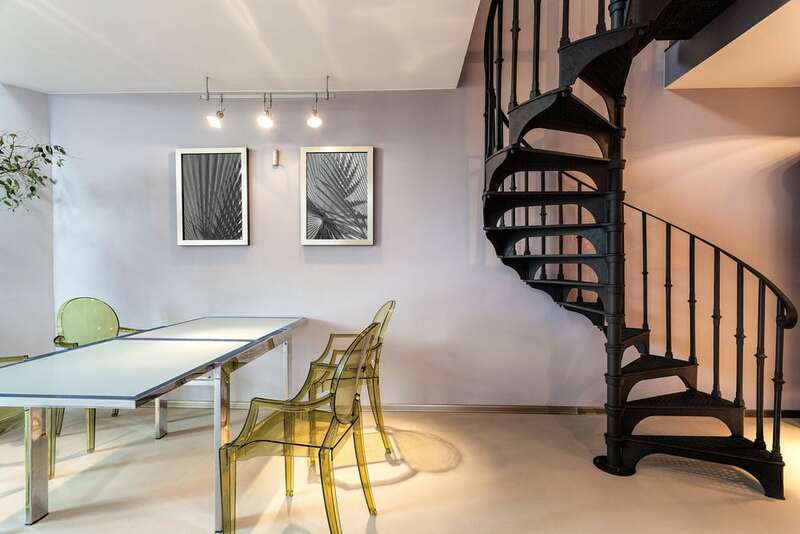 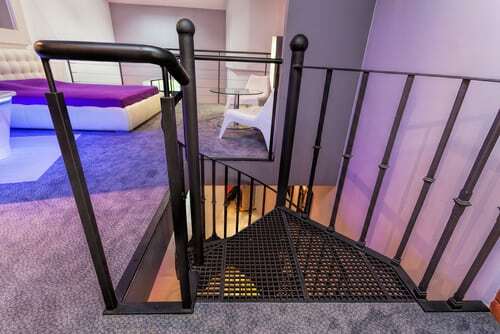 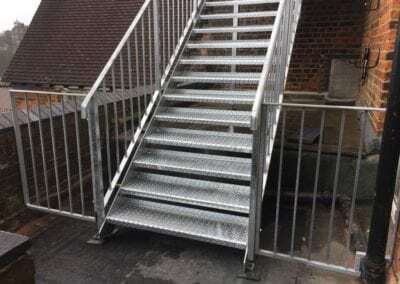 With a framework and handrails usually made from mild steel, and treads from durbar plate treads or ambi-decking, these staircases are plain and functional. 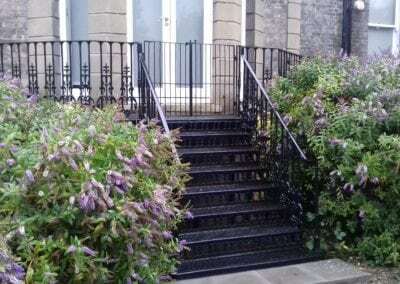 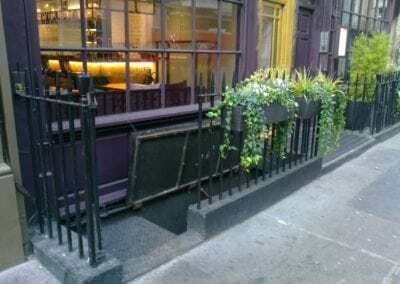 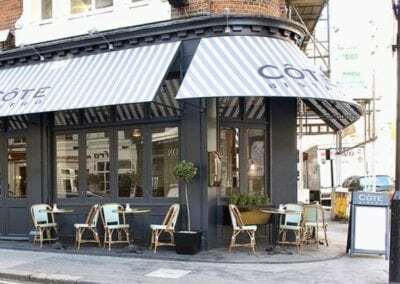 If outside, they will often be galvanised to help prevent weather damage or painted with black paint that can easily be touched up. 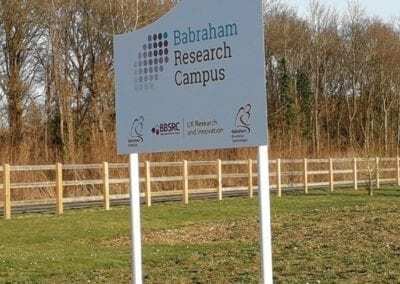 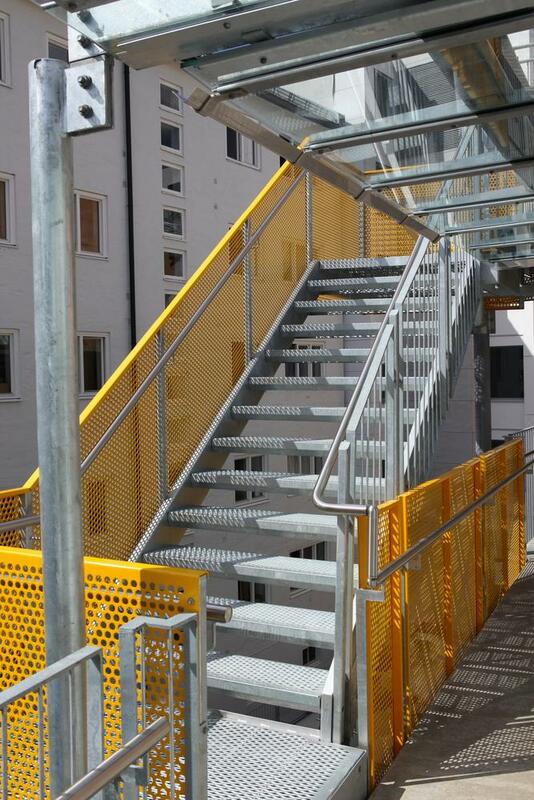 Internally, components may be painted or powder-coated a bright colour to make them stand out or to use corporate colours that emphasise your brand. 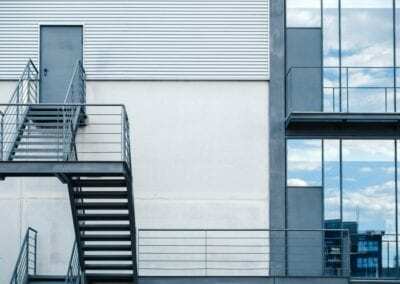 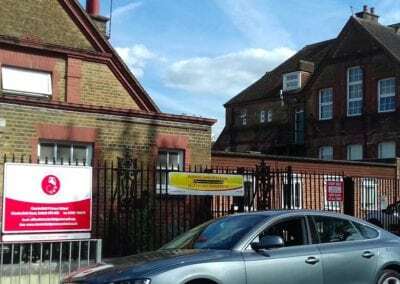 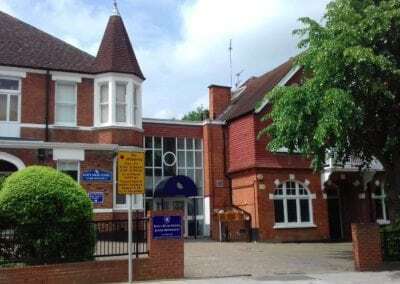 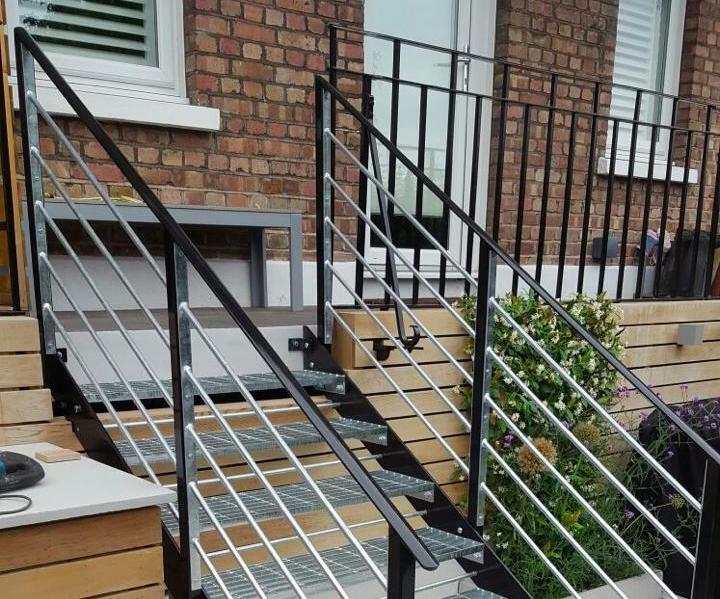 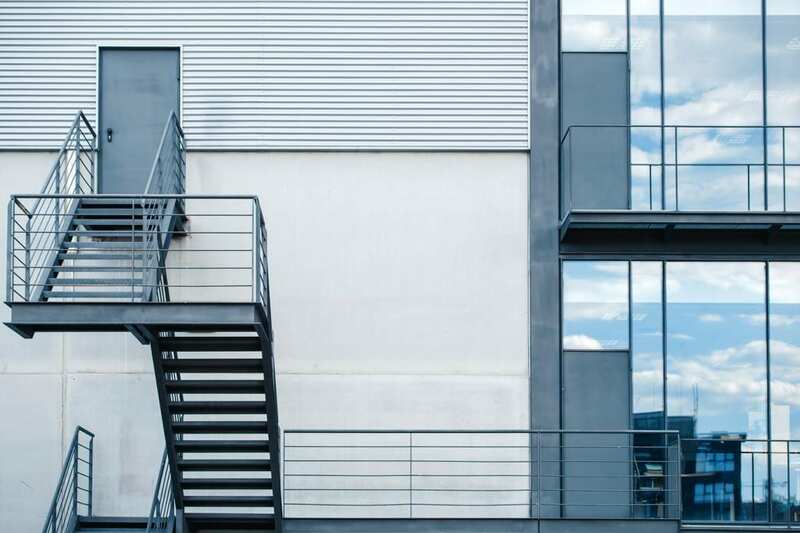 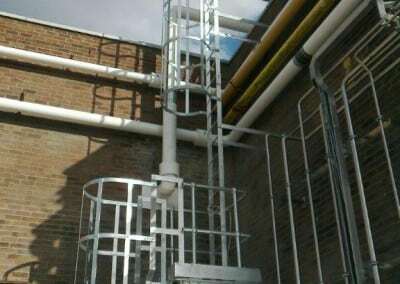 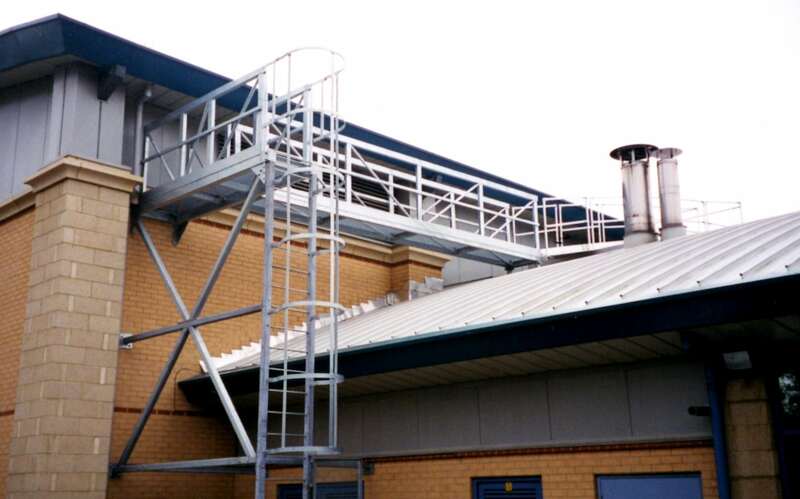 With our experience of fabricating and installing fire escapes, you will receive a professional service, great attention to detail and a fantastic result. 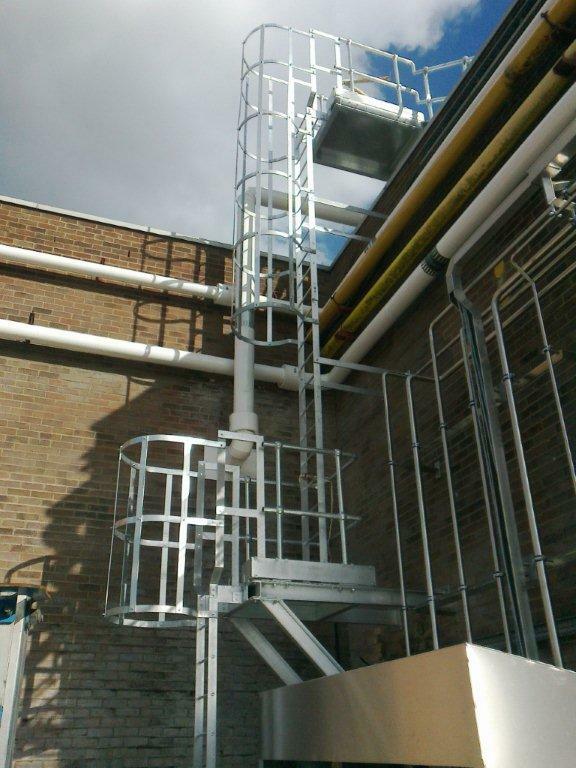 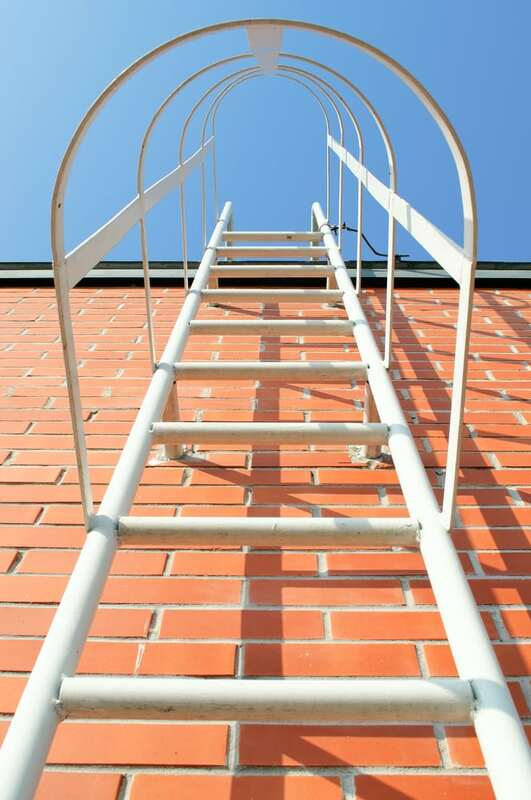 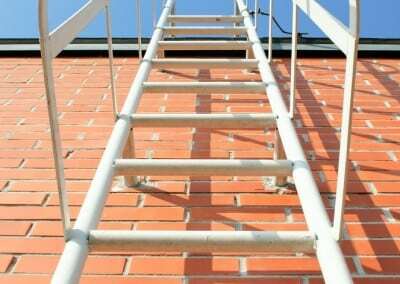 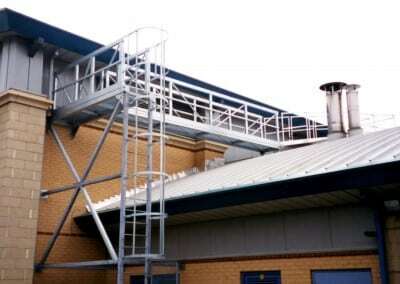 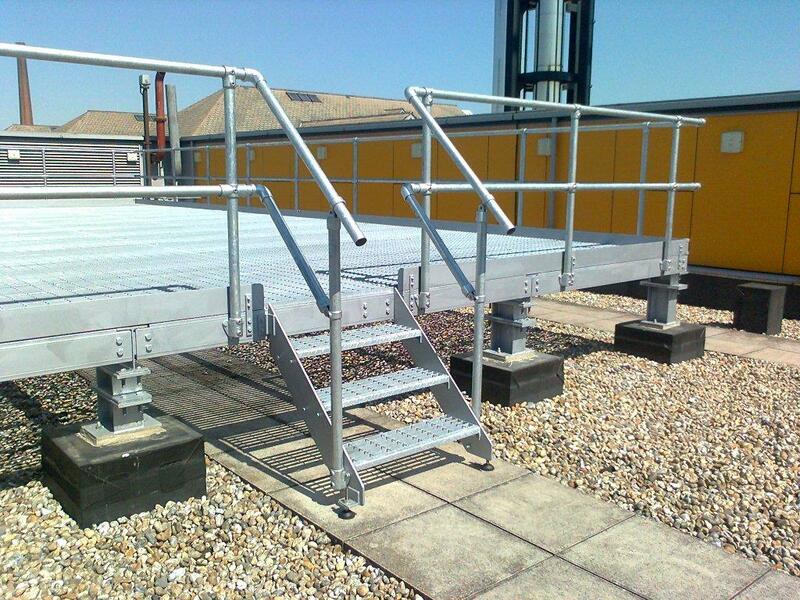 We’re skilled at fabricating and installing internal and external cat ladders for public and industrial buildings. 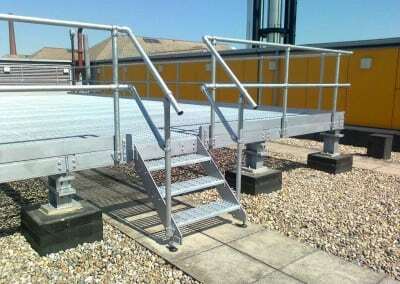 Ask us for a quote if this is something you need. 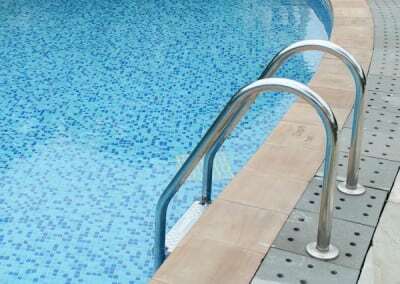 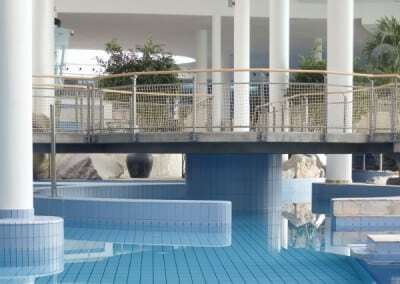 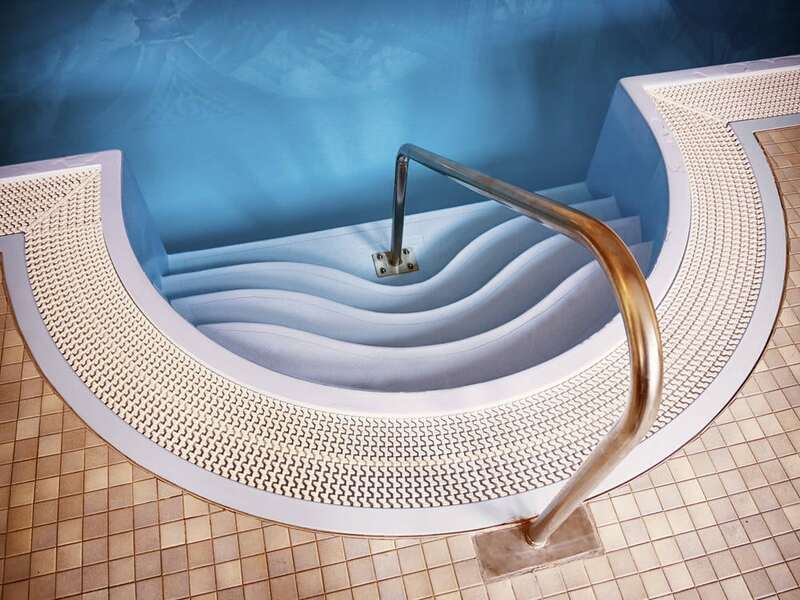 Sports & leisure clubs are our main customers, are as you’d expect, our main customers for swimming pool steps. 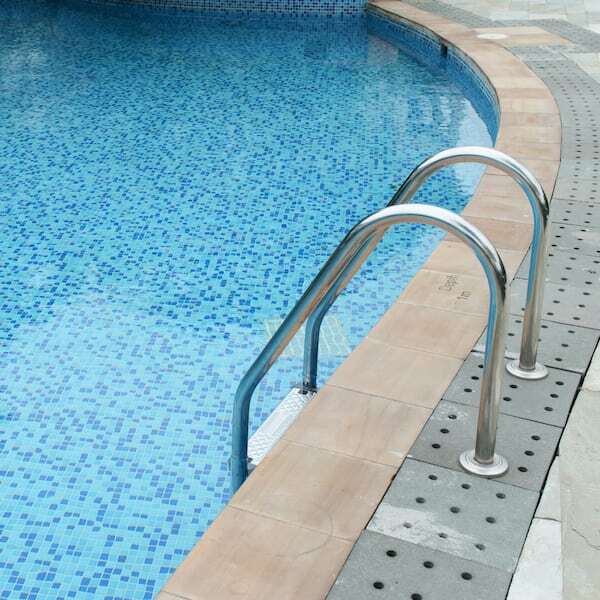 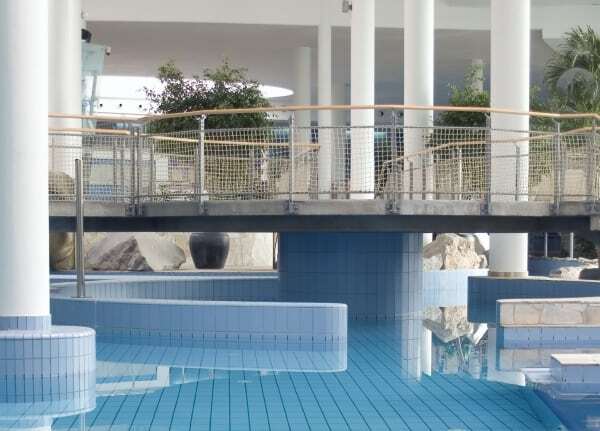 We also repair swimming pool steps, but – as you can imagine – this is tricky to do without getting any debris into the pool, so we may have to remove the steps, though it has been known for our guys to do repairs in their cossies! 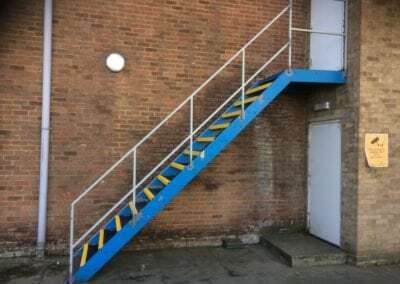 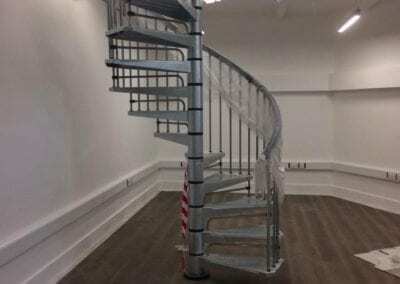 We repair and strengthen staircases in many different types of building, from grand staircases in historic buildings to the fire escapes of blocks of flats. 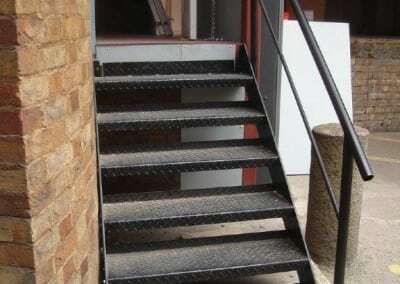 If any parts are beyond repair or missing, we can make replicas and install them in the staircase so well that they appear to be original. 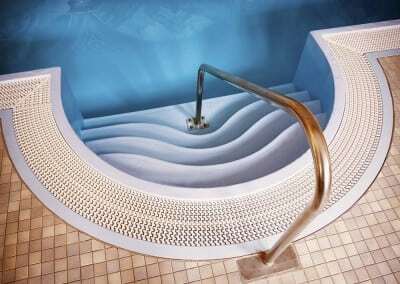 We can also add new components to strengthen the staircase or handrails.